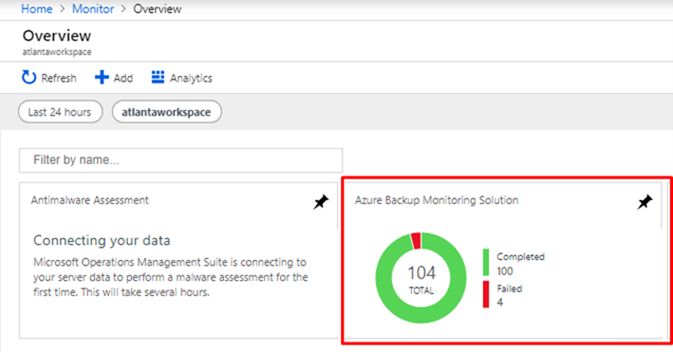 We are excited to share that Azure Backup now allows you to monitor workloads protected by it by leveraging the power of Log Analytics (LA). 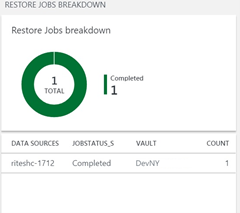 This allows enterprises to monitor key backup parameters across Recovery Services vaults and subscriptions irrespective of which Azure backup solution you are using. 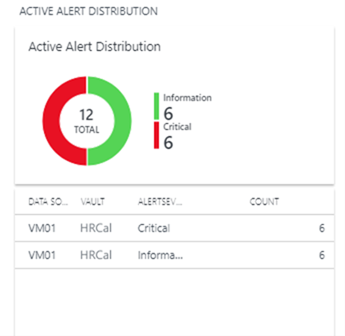 In addition, configure custom alerts and actions for custom monitoring requirements for all Azure Backup workloads with this LA-based solution. 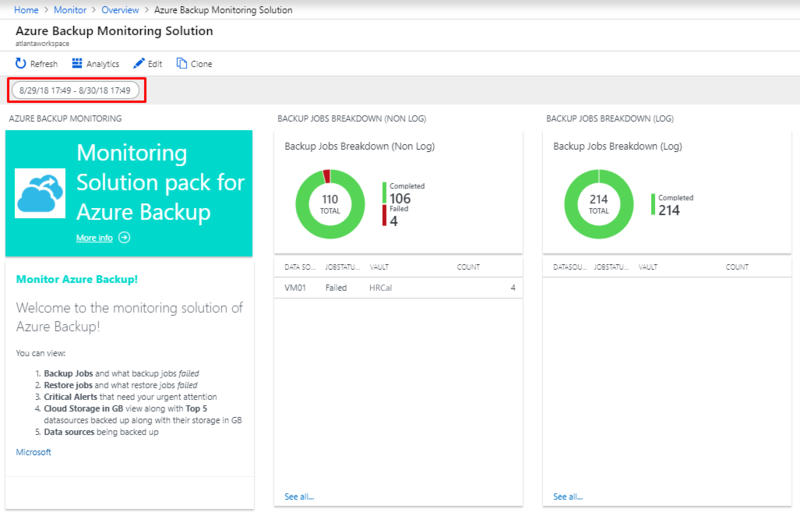 This solution now covers workloads protected by Azure Backup including Azure VMs, SQL in Azure VM backups, System Center Data Protection Manager connected to Azure (DPM-A), and file-folder backup from Azure backup agent. Be sure to choose the same workspace for all the vaults so that you get a centralized view in the workspace. After completing the configuration, allow 24 hours for initial data push to complete. Once the data is in the workspace, we need a set of graphs to visualize the monitoring data. Deploy the Azure quick-start template to the workspace configured above to get a default set of graphs, explained below. Make sure you give the same resource group, workspace name, and workspace location to properly identify the workspace and then install this template on it. If you are already using this template as outlined in a previous blog and edited it, just add the relevant kusto queries from deployment JSON in github. If you didn’t edit the template, re-deploy the template onto the same workspace to view the updated template. Once deployed, you will view an overview tile for Azure Backup in the workspace dashboard. Clicking on the overview tile will take you to the solution dashboard and provide you with all the information shown below. Monitor regular daily backups for all Azure Backup protected workloads. 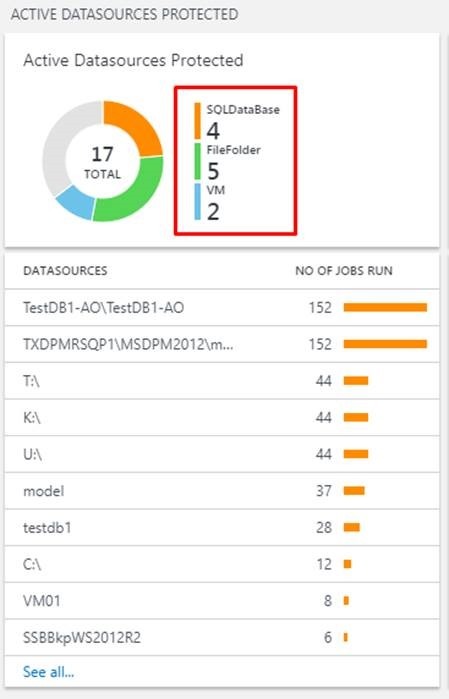 With this update, you can monitor even log backups for your SQL Databases whether they are running within Azure IaaS VMs or being run locally on-premises and being protected by DPM, MABS. Monitor a spike or reduction in a number of backed up datasources using the active datasources graph. 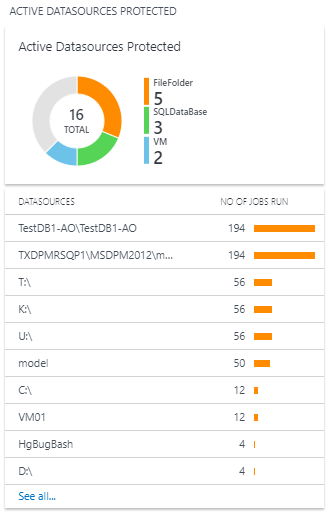 The active datasources attribute is split across all Azure Backup types. The legend beside the pie graph shows the top three types. The list beneath the pie chart displays the top 10 active datasources. For example, datasources on which the greatest number of jobs were run in the specified time frame. 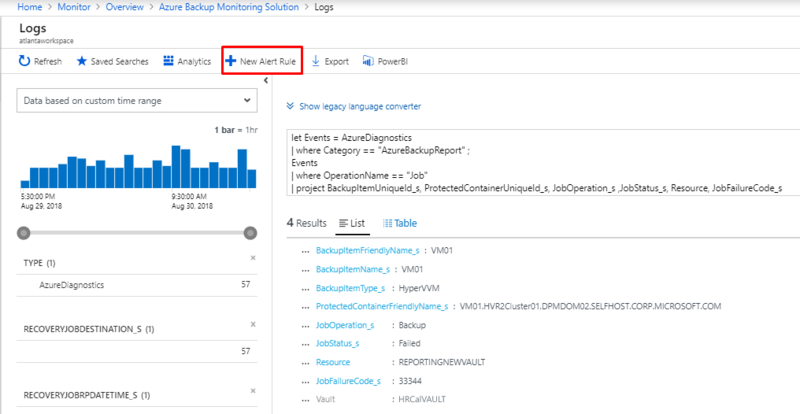 Azure Backup generates alerts automatically when a backup and/or a restore job fails. You are now able to view all such alerts generated in a single place. However, be sure to select the relevant time range to monitor, such as the proper start and end dates. Whenever you click on any single row in the above graphs, it will lead to a more detailed view in the Log Search window and you can generate a custom alert for that scenario. You can configure LA workspaces to receive key backup data across multiple Recovery Services vaults and subscriptions and deploy customizable solutions on workspaces to view and configure actions for business-critical events. This solution is key for any enterprise to keep a watchful eye over their backups and ensure that all actions are taken for successful backups and restores.